Scrumptious Saturdays is my series of weekly roundups. I am frequently surfing around the interweb looking at lovely pictures of food and finding delicious new recipes that I want to try out. I thought it might be handy for you if I shared some of my favourites with you each week. Last week’s theme was Seasonal Strawberries. This week it is lemons as I was lucky enough to find some reduced at the market, so I bought quite a few. Lemons are not widely grown in the UK but are imported. Many of the varieties found in the supermarket have come all the way from South America but occasionally the exceptional Amalfi lemons from Italy put in an appearance. I always snap them up if I see them, as they produce lots more juice and are much more “lemony”! They do say when life gives you lemons, make lemonade, so the first recipe I sought out was indeed lemonade. Homemade lemonade is not as popular in the UK as it is in the USA, so I headed across the pond to find this recipe by Renee from Renee’s Kitchen Adventures. My mint plants are rampant at the minute so I’m delighted at the thought of making my lemonade minty! 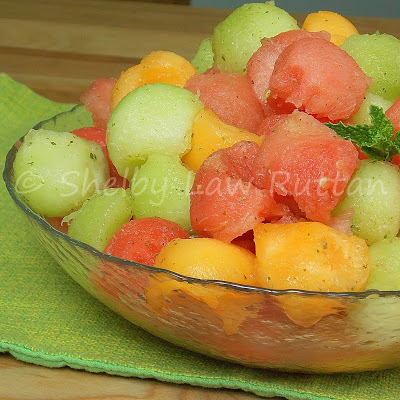 Talking of mint, I love the sound of this Minted Melon Salad by Shelby from Grumpy’s Honeybunch. 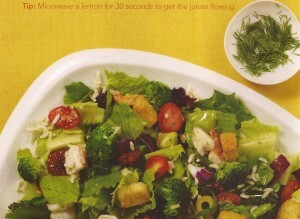 The dressing is syrup, lemon juice and amaretto – sounds heavenly! She also includes basil, which I think I’ll swap for the lemon basil growing on my windowsill to enhance that lemony zing! I’m not sure if this salad should be a palate-cleansing starter or a dessert. What do you think? So, once I’d found a drink and a starter/dessert, I thought I would go all out with a lemon-themed meal so sought out a lemony main course. I love king prawns, especially in the summer months so am particularly taken by this recipe for Lemon Shrimp by KC from The Kitchen Chopper. 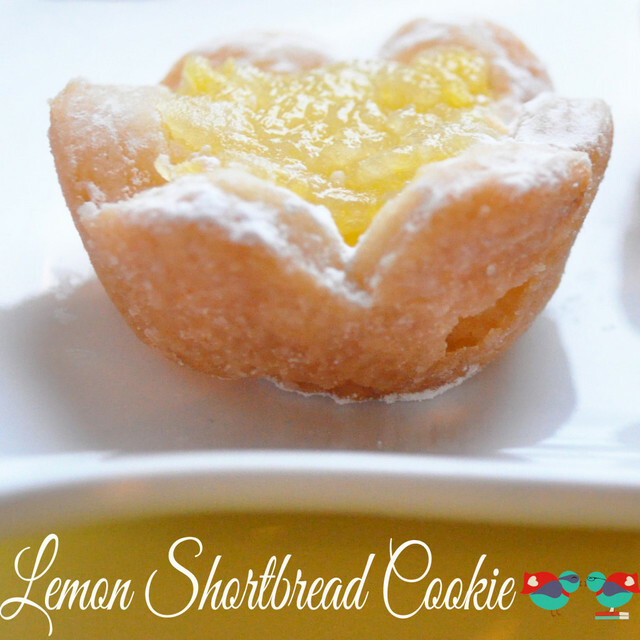 Now all we need is dessert and I couldn’t resist these cute Sunny Lemon Shortbread Flowers by Maggie from The Love Nerds. They are just adorable and I bet taste delicious! 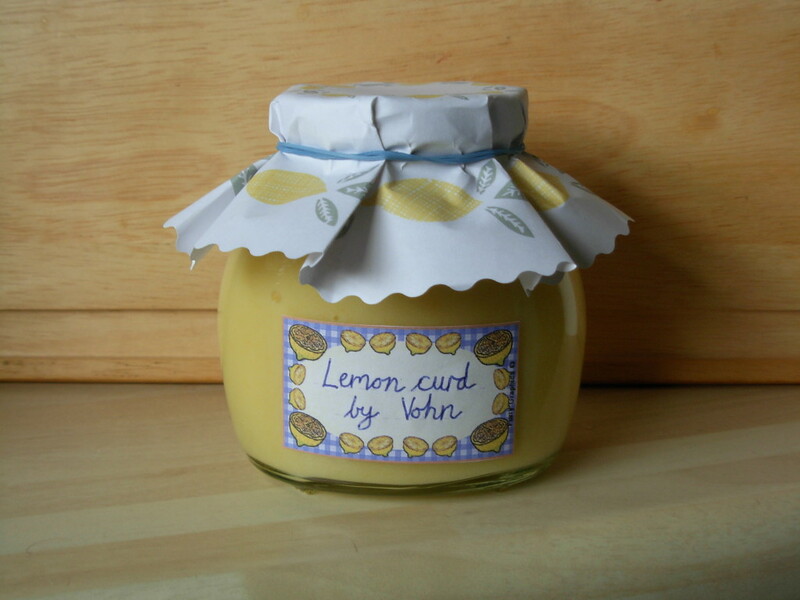 Something I’ll also be making is another batch of my Homemade Lemon Curd. My go-to recipe is by the lovely Nigel Slater. I keep meaning to make a dessert from it but it is so good that I’ve usually finished the jar before I remember! Does anyone out there know why “life giving you lemons” is supposed to be a bad thing? I think they are delicious and sunny and make me feel happy and optimistic. Enjoy your lemons! This looks SO refreshing. I’d love to try these. I love lemons too! I used them a lot in cooking but I have never made my own lemon curd. It must be delicious!I love organic lemons as a treat as they smell lovely (although they don’t last longer than a week). Lemons are so wonderful and your lemon curd looks particularly scrumptious. Liskeard is famous (or actually it’s a little known fact) for having the only outdoor lemon growing in the UK. It’s well over 30 yrs old. Think the saying “when life gives you lemons, make lemonade” is meant to be an optimistic one. From sour / bitter to sweet and delicious – or something like that! I’m pretty smitten for lemon myself. Great collection of recipes! That mint lemonade looks amazing. Great roundup! I just picked some fresh mint. I’ll have to make this! Yum! Me too Lori – my mint is going crazy this year – loves the amount of rain we’ve been getting! Don’t you just love lemon? 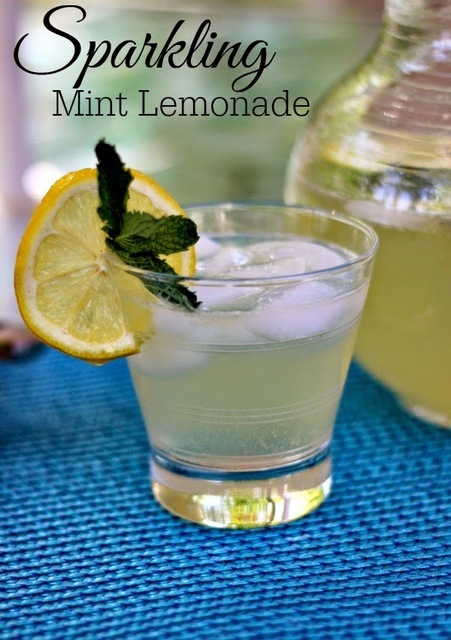 I love using it in my cooking whenever I can, and nothing beats a glass of homemade lemonade. LOVE IT! 🙂 so bright & vibrant, too!